Sorry, your browser doesn’t support HTML5. Download the latest version of your browser to see the content. You can try to view the gif directly: giant.gfycat.com/ColorlessFamousHoatzin…. Sorry, your browser doesn’t support HTML5. Download the latest version of your browser to see the content. 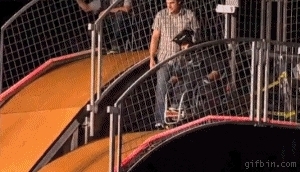 You can try to view the gif directly: fat.gfycat.com/EarlyDetailedAcornweevil…. Sorry, your browser doesn’t support HTML5. Download the latest version of your browser to see the content. You can try to view the gif directly: giant.gfycat.com/OrdinaryShinyGlassfrog….